Animal Crossing: How a niche became a norm - Pioneer Project - Enjoying video games a little differently. It’s almost impossible to imagine now, but there was a time when there was genuine uncertainty about Animal Crossings future outside of Japan. There were many other British gamers like me facing an arduous wait for the Gamecube version of the game to reach these shores. So certain was my belief that it was never going to make it to Europe that I imported a copy from America and started the process of cultivating my very first town. It did finally make it here, but over two years after the American release. That’s actually the normal sort of time for a localisation of a game here, but Animal Crossing was still a complete unknown to a Western audience, a silly but sincere sim game that utterly captivated gamers and non-gamers alike. Such is the power Animal Crossing’s methodical madness that I still have people with far less interest in video games than I recommending it to me, or sharing their accomplishments in game as if it somehow remains gamings best kept secret. Part of the games success is the now commonplace concepts it popularised. It was many gamers introduction to concepts completely new to a simulation game. Concepts like the real-time clock to positively change and adapter in-game environments or characters. An idea started with games like Seaman and NiGHTS into Dreams, but something that Animal Crossing improved on and used as the core concept for its world. This is part of the reason that any version of Animal Crossing is a suitable game to return to, something that many of us like to indulge in from time to time. It’s a great example of a game that encourages peaceful responsibility for in-game characters and environments, which in turn captures the imagination of the player. 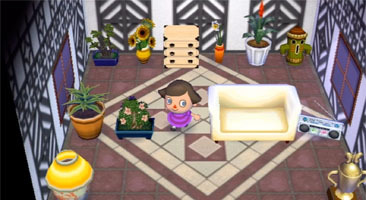 Animal Crossing encourages players to invest their personality, time and care into a carefully-cultivated town of their choosing. It’s also a great case study of how games can be utterly silly, but crammed full of merit. 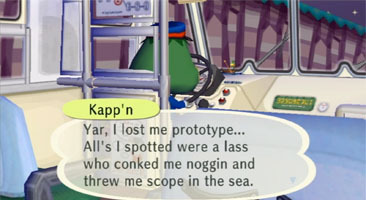 Animal Crossing is a fine example of humour being used as a narrative tool. Patience is a huge gaming virtue and Animal Crossing’s day-by-day rhetoric sits with this principle nicely. Crucially Animal Crossing pushes eccentricity as a positive attribute rather than a pejorative. It was sold to us as a gamers game – kooky as they come – straight from Japan, with a sprinkling of Western humour bundled into the localisation. In gaming circles it was chatted about as something people outside of a gaming audience couldn’t and wouldn’t understand. Instead, it became a beautiful metaphor for how inclusive our pastime is. Animal Crossing is filled to the brim with whimsy. Its odd (yet relatively) unique method of welcoming, inclusive gameplay became a mainstay. As such the concepts that remarked Animal Crossing as such as intriguing daily play all those years ago, has led to it losing its way a little bit. Its insightful gameplay concepts such as land management, mortgage payments and fossil collections have moved from being dynamic ideas to well-travelled tropes. This have become the concepts we use to describe Animal Crossing now. As if the game has become more about box ticking rather than the revolutionary ideas we fell in love with. Many of the same elements that made Animal Crossing enjoyable are now making it stale. This is evidenced by core concepts like the tutorial with Tom Nook remaining relatively unchanged since it’s inception here in the West with the Gamecube edition. There’s a groundswell of ideas that the franchise could have tapped into by now, without defiling the essential ideas that make it so joyfully weird. The key elements such as the bright, stylised art style, the random village with hand-picked inhabitants or the consumerism focused element of decorating and redecorating homes don’t need to be changed, but something does. Perhaps instead there could be renewed focus on multiplayer. 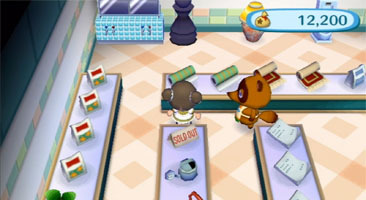 The “city” element in the Wii version of the game was woefully underused. Instead it became a sad hub area for the animals who didn’t live in your town, denying you the ability to recruit animals that you thought suited your town. The last of the unfixed elements of the game (like the characters who visited your village random) are now relegated to the city taking all the mystery out of their appearances. Instead the city could have been a player-focused area filled with player run shops or activities. Building on this idea, players could also create their own animals, complete with their own defined personalities to share out to others to use and rate. Both of these ideas could build on the ideas of character and world development by simply mixing the boundaries a little more. A lack of new ideas, does sadly sum up what Animal Crossing has become – a tired repetition of what it has done before, rather than the imaginative and inspiring novelty that was truly exciting to experience for the first time. In fairness the formulaic nature of Animal Crossing has always been there. In any addition of the game you start to spot the patterns of its development everywhere. From the way that animals appear and disappear on the same days, or the events that happen on the first saturday of every month. Animals are grouped into broad personality types, which you start to recognise and identify. You start to know exactly how an animal will behave within two pages of their chatter. The series has become less about an gradual process of evolution and more of a series of well-used and knowing Animal Crossing cliches. Yes every day is still different in Animal Crossing, but repeated play makes it far easier to unravel the mystery behind how the game is put together, not unreasonably this is about the point the core audience can begin to lose interest. Animal Crossing has lost its way a little, and yet I still return to it for a dose of whimsy every year or so, each time reminds me of what was so remarkable about it that very first time, when I found no patterns in its strange, but very welcome niche. 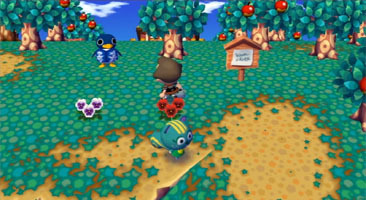 I think WW may have been the heyday of Animal Crossing. It was so much fun meeting up with friends in their towns, and having them stop by mine so I could show off my stuff. But of course, I am speaking from the perspective of a person who never played more than a few days of City Folk. I might have gone further, but the controls were awkward for me. How funny that you should write about Animal Crossing right after Metroid Prime. Jonah (my brother for any strangers reading this) bought both games at the same time and got completely absorbed into Animal Crossing, but didn’t get much into Prime. Meanwhile, I lurked around his house all the time playing his copy of Metroid Prime obsessively whenever he wasn’t playing Animal Crossing. I think Animal Crossing is a game I would have really enjoyed if it came out about 5 years before it did. I tried it, but after dumping eleventy billion hours into Harvest Moon 64, I felt really burned out on that style of game. @Candi – Despite the improvements, the gamecube version of Animal Crossing remains my favourite. @Jesse – I can totally understand why you didn’t click with Animal Crossing – interestingly enough since you mention Harvest Moon 64, the Gamecube version of Animal Crossing was a re-imagining of the Japanese only N64 version of the game.